Trail: Lower Sam Merrill Trail to Mt. Lowe Railway Trail to Upper Sam Merrill Trail to Mt. Lowe, down East Mt. Lowe Trail, Middle Sam Merrill Trail, and Lower Sam Merrill Trail. 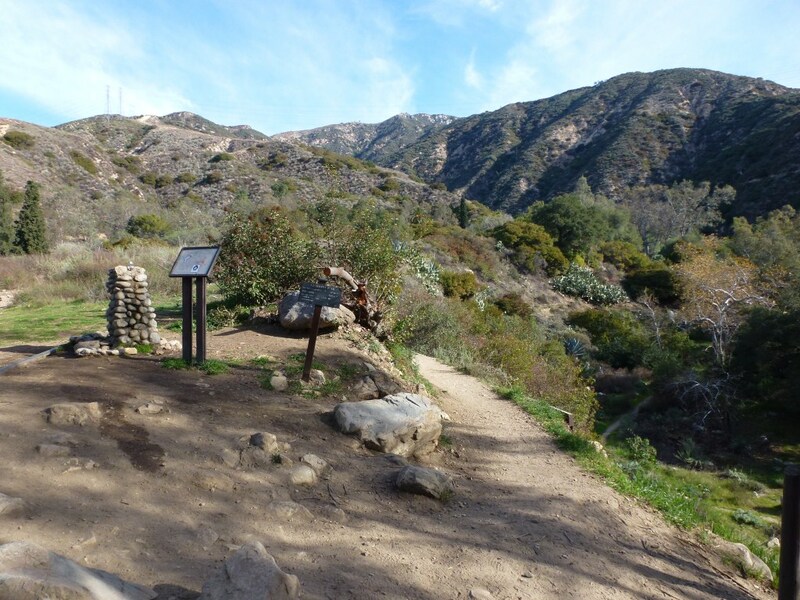 Trail Segments: Take the Lower Sam Merrill Trail to the Junction at Echo Mountain. Take the Lower Mt. Lowe Railway Trail up to the Cape of Good Hope. When you reach the paved road, turn right and head up to the Upper Mt. Lowe Railway Trail and take it past Lowe Campground to Lowe Saddle. From Lowe Saddle (where 5 trails meet), take the third trail–Mt. 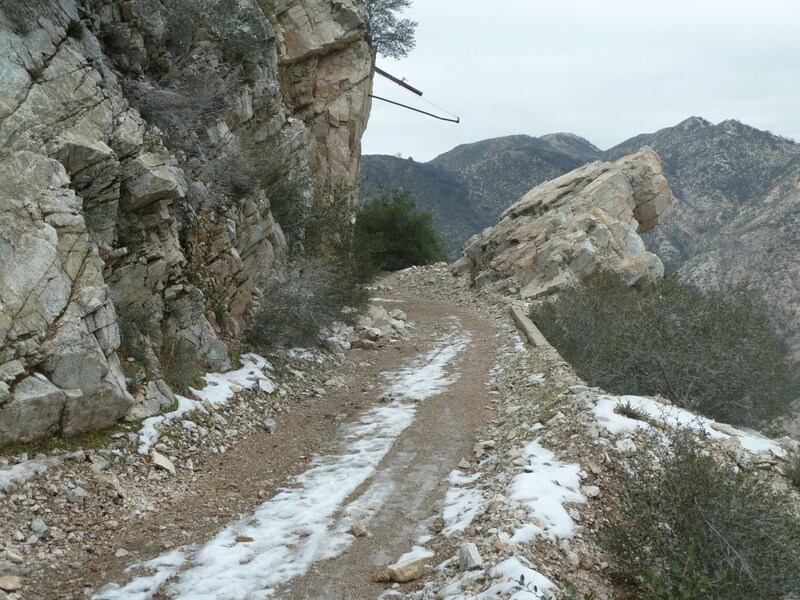 Lowe Road–shown on the Lowe Saddle page and head up to the Upper Sam Merrill Trail. Take the Upper Sam Merrill Trail to the Junction with the East Mt. Lowe Trail. At the Junction, head up a short trail to Mt. Lowe Summit. Return going down the trail to the Junction and head down the Upper East Mt. Lowe Trail. At the junction with the North Mt. Lowe Trail, continue down the East Mt. Lowe Trail to Mt. Lowe Road. Continue down Mt. Lowe Road to Lowe Saddle and take the Middle Sam Merrill Trail down to the junction at Echo Mountain. Finally, take the Lower Sam Merrill Trail down to the Cobb Estate. The Granite Gate area of the Upper Mt. Lowe Railway Trail. According to the posted sign, It took 8 months to blast and cut the granite to make a path wide enough for the train to pass through.